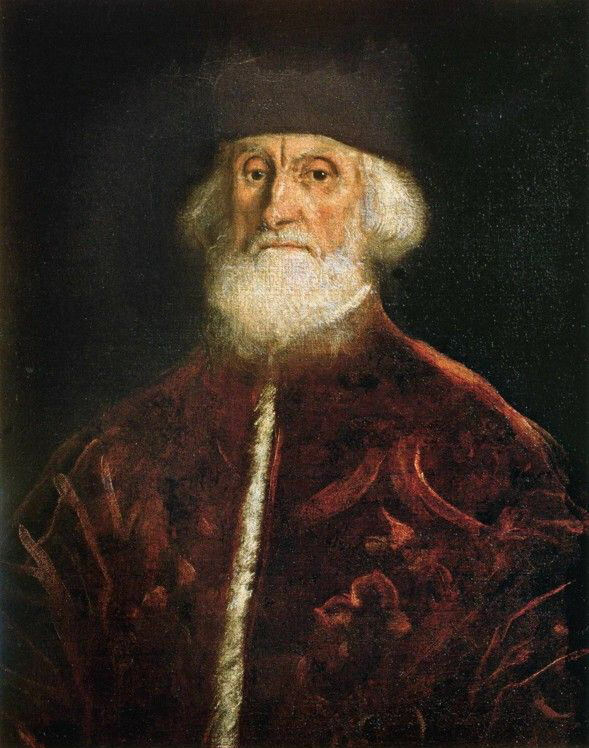 World Famous Paintings 미술 - 세계명화감상 - Portrait of Jacopo Soranzo. c.1550. Oil on canvas. 75 x 60 cm. Civica Pinacoteca del Castello, Sforzesco, Milan, Italy. Venus and Cupid with an Organist.